Vero News > Blogs > My Vero > Teachers are bailing out of our local schools. Why? More than 500 teachers have left our local schools during the past four years, and 63 percent of them resigned, choosing to work in another community or another field. That includes 86 who headed for the exit so far during the current fiscal year, which runs until the end of June. Those are alarming numbers, when you consider that the rampant and ongoing turnover of teachers disrupts the educational process – especially when they leave during the academic year – and puts students at a learning disadvantage. The hard truth here is that teachers who leave usually are replaced by teachers with less classroom experience, if any at all, or by temporary substitutes who lack the necessary expertise. Liz Cannon, head of the local teachers union, said more than 200 of the district’s 1,100-plus teachers are in their first year in the classroom. She doesn’t know how many will be back for a second. The challenges of working in our public schools, where teachers too often are disrespected by students and not supported by administrators, are taking a toll – so much so that, for many, the job has lost its appeal. Teachers throughout the county cite student behavioral issues, pressure to produce better standardized-test scores and a general absence of appreciation from a school district office that operates under a deflating, you’re-lucky-to-work-here management philosophy prevalent since Superintendent Mark Rendell’s arrival in July 2015. Longtime teachers say more than a few of their younger, new-to-the-classroom colleagues have become disillusioned with their career choice, because they find themselves spending their days dealing with discipline problems and “teaching to the tests,” instead of teaching the lessons students need to succeed in school and life. And if a teacher dares question school district policy? All this for an average yearly salary of $48,000. Apparently, there are better jobs out there – jobs that offer a more pleasant and fulfilling work environment; jobs that don’t send them home feeling frustrated, intimidated and insecure. 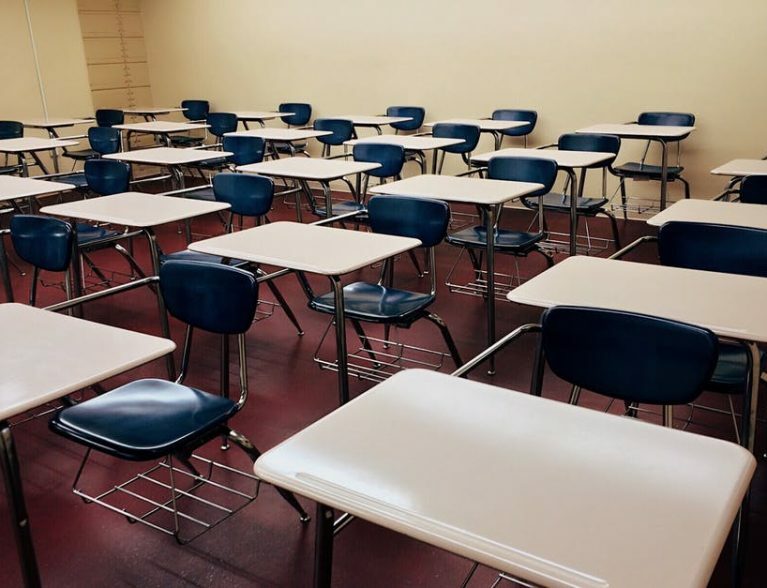 According to Florida Department of Education statistics, 523 teachers have left the Indian River County School District the past four school years, including 330 (63 percent) that chose to resign. The others either retired, were terminated or didn’t have their annual contracts renewed. Of the 330 who’ve resigned, 135 did so during the actual school year. Teachers’ mid-year resignations, in fact, jumped 15 percent from 25 in 2016-17 to 40 in 2017-18. Eighty-six teachers have left the district since July 1, the beginning of the 2018-19 fiscal year, including 59 who resigned and 37 who’ve quit since classes began in August – and more departures are expected between now and June 30, the end of the fiscal year. As a result of so many departures during Rendell’s reign, we’re seeing a disturbing trend: More of our teachers have less classroom experience. DOE statistics show that teachers working in the county’s schools averaged only 9.9 years of experience in 2017-18, down from 10.3 years in 2016-17 and 11.3 years in 2015-16, making us rank 50th out of Florida’s 67 counties in 2018 in average years of experience. By comparison, Brevard ranked 2nd best in the state averaging 13.88 years and even St. Lucie ranked above us in 45th place. That’s all cause for concern, especially since the district ranked 13th in teacher pay during the 2017-18 school year, when the average salary here was $48,399, slightly above the state average of $48,168. The relatively high salaries paid here makes it harder to explain why teachers are leaving in droves. But in this district, the job of teaching has become thankless – and that’s the superintendent’s fault, because he’s the CEO, he sets the tone and it’s his job to make the county’s schools a desirable place to work. And it’s no coincidence that teachers aren’t the only ones heading for the exits. Three assistant superintendents (Bruce Green, Amy Purcell and Carter Morrison) resigned in a 5 ½-month span during the second half of last year. And School Board Chairman Laura Zorc said she has heard from other unhappy administrators and staffers who’ve told her they’re teetering, waiting to see if the superintendent keeps his job. As of Monday, Rendell’s future with the district remained in doubt. The board was scheduled to meet Tuesday to resume its discussions about Rendell’s fate – no vote was expected – and whether to launch a search for a new superintendent. In other words, he blamed the principals. Rendell said he “made leadership changes at those schools,” and the retention rates at those schools improved. But have they? The numbers are still going the wrong way.